Terrific stuff, as always, Greg. 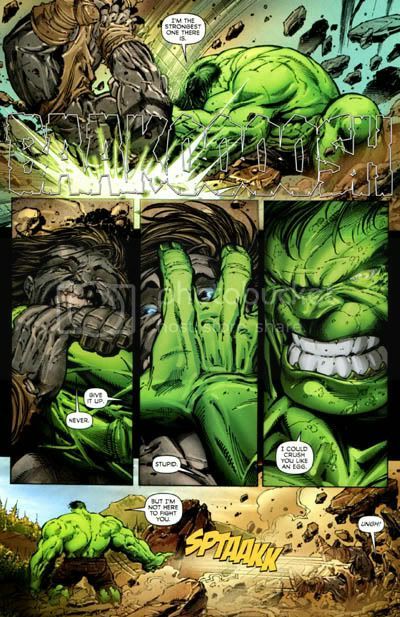 I personally think the climax of this issue is one of the most emotionally cathartic in Hulk history since Bruce's reunion with Betty on the train tracks in #372. 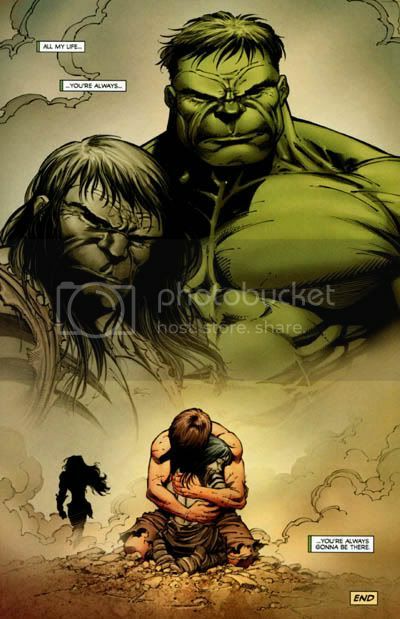 I also appreciate how Pak is giving both Banner and the Hulk a sharp lesson in humility in the form of his own son. Another scene of the story I admired was the one featuring the threatened beachgoers. Unlike the morons whom the Hulk rescued from a Zom-possessed Dr. 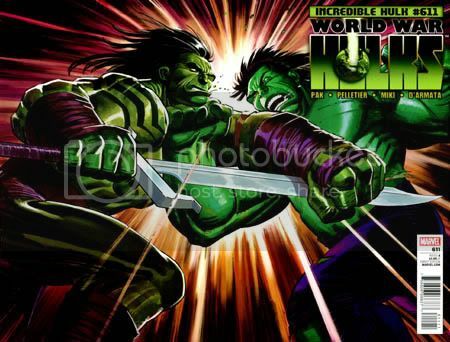 Strange in WORLD WAR HULK (what the hell were they doing within the warzone in the first place? 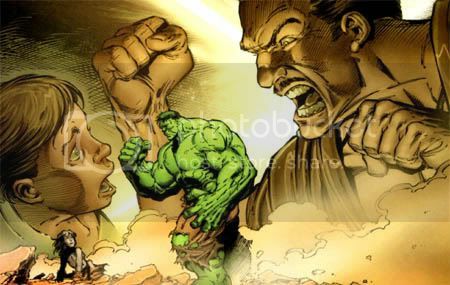 ), these were actual, honest-to-God "innocent bystanders" caught up in a primal battle between two superpowered beings. The expression on the Hulk's face when he comprehends the mass slaughter that's about to take place was exquisite. I apologize for the amateurish voice-over, but sometimes you've gotta work with what Nature gives you. "Greg"? Heh, don't be confusing me with our esteemed Hulk writer-guy! Glad you enjoyed. More to come including an article all about Hiro-Kala, soon! You mention doing a Hiro Kala,article. I have also been researching and planning to post a article about him on Dailypop's site. Perhaps we could work together. If you are interested please tell me. Did I mention that I love what Pak is doing with the newly-resurrected Betty Ross? Her "This is where you hug him" is delivered with She-Rulk's usual sneering aplomb, and yet the ambiguous expression on her face indicates that Betty's tender-hearted soul is beginning to poke through again. I'm up for the collaboration on the Hiro-Kala article. Drop me a line at the email link on my profile page. I am interested in knowing what kind of article about Hiro you are writing. Is this just a review of the issues themselves or is there more to it than that? Best to discuss this off blog. I'm thinking a bit of both, maybe one of us can handle the history and the other can do the critical stuff? I was mostly gearing it up as a primer for "Dark Son." If all else fails & you can't find the address (it's linked off my profile) you can send to my gmail account, delusionalhonesty. Gary,does the Enigma Force mini series have previews posted yet? It is supposed to come out this Wendesday,right?